Haarlemmerdijk/street is number 1 voted best shopping street in the Netherlands. Located in Amsterdam’s Jordaan district you will find this wonderful street. In the Haarlemmerdijk you will find a wide variety of shopping, eating, drinking and entertainment. Old fashioned fun from early in the morning till late in the evening. For many years a very popular street where tourists mingle with locals. In this lovely, lively street it’s great to stroll through and look around, separate and unique boutiques and shops like cooking stuff, odds and ends, clothes, shoes, cheese store, olive shop and so on. I love the old movie theater with the beautiful old front, did you know that this is the oldest theater in Amsterdam ( www.themovies.nl ) definitely worth to take a look. 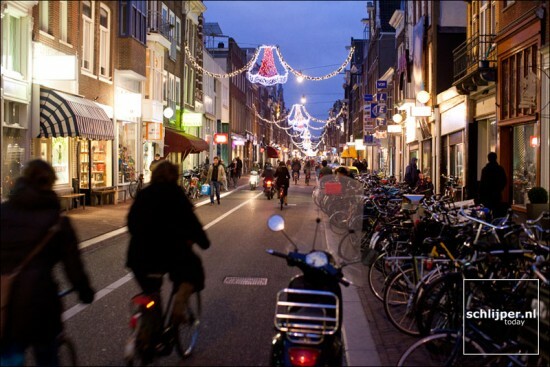 I fully agree that the Haarlemmerstraat/dijk was chosen as the best street of the Netherlands.